Chancellor’s House offers valet parking, a bellman to assist with luggage needs, and a front desk staff trained to meet any request. 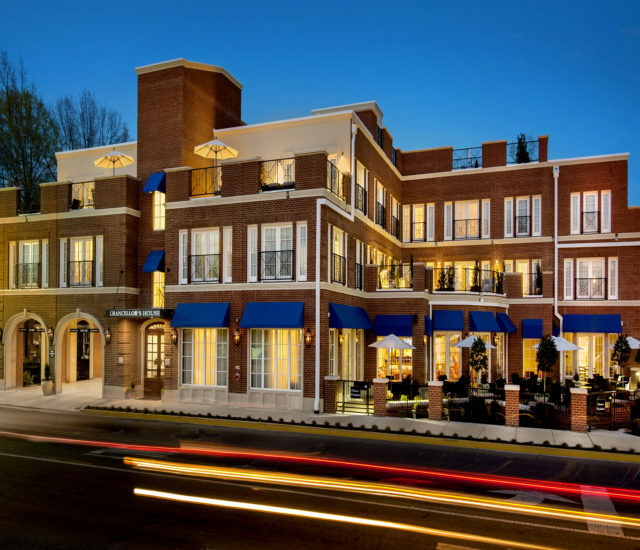 Located steps from the square and just minutes from the Ole Miss campus, the hotel encompasses a library, ballroom, bar and lounge, along with in-house restaurant Chancellor’s Grill. Guests can choose from a variety of entrees including steak, seafood and Southern fare. Brunch is served on Saturdays and Sundays and includes favorites like: vanilla bean pancakes, classic eggs benedict, crab cakes, and lobster bisque. The in-house concierge can assist with purchasing and arranging special items such as: champagne, chocolate covered strawberries, floral arrangements and rose petals. The hotel also offers a ballroom that can be rented out for special events such as cocktail parties or wedding receptions.